Do you ever wish you could have a say in what you get taught in the classroom? Now WWF (World Wildlife Fund) are asking you to do just that. In the UK, the government’s education secretary, Michael Gove, has proposed to take climate studies out of the National Curriculum. 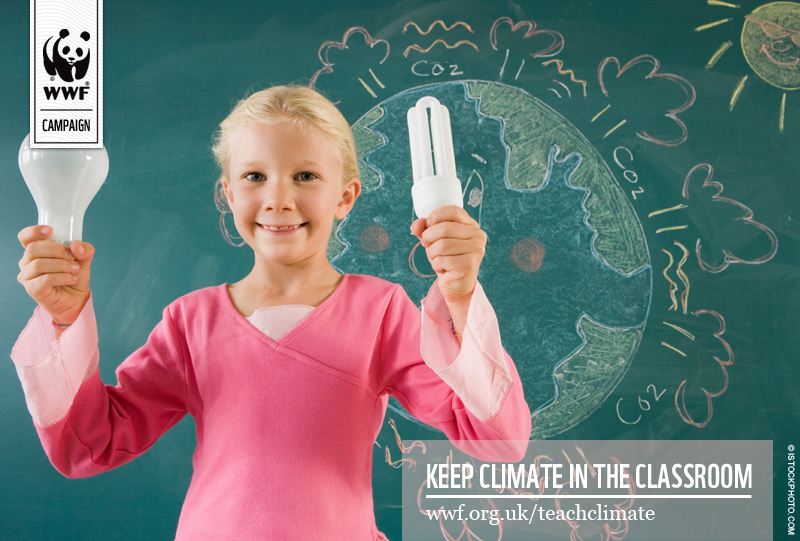 WWF strongly oppose this decision and have launched a campaign called Teach Climate to try to reverse the decision. They believe that educating children is the only way to save the future of the natural world, and they’re inviting you to write a blog post on the subject. Have you learned about climate change at school? Is it important that children are taught about subjects like this? Or do you learn about it in other ways? What do you think we need to do to preserve the future of the planet? Whatever you think, your blog is a place for you to have your say (or leave a comment below). You can find out more from the campaign here. If you do decide to blog about this or mention it on Twitter, use the hashtag #teachclimate so WWF know you’re talking about this. Wow, that’s so nice you already published a book! Go Teach Climate and WWF! This is a great idea – I have absolutely no idea why they would want to take climate studies out of the National Curriculum; it would be disastrous, as if no-one knows about climate change then no-one will be there to stop it. I did a post on climate change a while ago: https://sciencetasticblog.wordpress.com/2016/08/21/climate-change/ because I think that it is incredibly important that the issue is dealt with, as it could mean the end of humanity if it is not kept under control.